My son just loves the summer weather....running threw the sprinkler, going to the park, playing soccer outside, and most of all playing in the pool out back. In fact just last week we had a 63 degree day and my son was all ready to open up the box with the pool inside to set it up!!! And just yesterday he wore his flip flops to my Dad's house. He is so ready for SUMMER!!! My daughter is following in his footsteps I think too...with the LOVE for the outdoors. As soon as it is time to head inside after being outside for a bit....she starts to scream!! And when she sees her BIG brother outside threw the window she goes and opens up the closet door to for me to get her jacket...she's too funny!! My sister-in-law bought them a pool for this summer already...if we had not received that pool.....I would for sure be getting them this one Kohl's has for my daughter and nephew to play in!!! 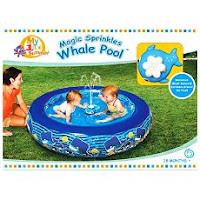 They have this Magic Sprinkles Whale Pool on sale for just $13.79 on sale from $22.99. It has a Motorized whale that swims and sprinkles water!! How cool is that??? PLUS, they are eligible for FREE Super Saver shipping too! (Spend $25 on qualifiying items and they ship for FREE) Hurry...deal is for TODAY only!! Here's to a great season ahead!! Man....to be little again, she had the best time for about 20 minutes while hubby and I cleaned up the kitchen! And when it was time for bed...she was so sad to have to leave the straws behind!!! My in-laws also purchased me some Cheerios cereal last week...and just gave the boxes to me last night. Guess what?? $1.50 off coupons for Papers diapers on the back of the box!! Yeah!! So keep a look out! The Pampers bags had no such info on the package to let you know that a Cheerios coupons was enclosed...Usually I had been getting a Swipers wipes coupon for 50 cents off...(which I have NEVER used...and have like 10 of them!) I have yet to find them in any store I shop at?? So the Cheerios coupons are way better for me!! The Pampers coupons were on the back of the Cheerios boxes.....so you can see them! Yes, that's right at Walgreens...Wednesday 4/2/08 ONLY!!! . They don't refill any Epson or Canon cartridges, but they do fill a good number of lexmark, HP and Dell. You get 1 color OR black free refill per person. Here is a list of cartridges they Do refill. Click Here. I had gotten a black HP refill done at Walgreens back in September (I think around then) when they had the FREE refill then too. I was totally pleased with it...worked great! I dropped it off at about 10 am and picked it up the next day around 12 noon. It was done and waiting for me. No problems at all. The cashier at my local Walgreens did say they did have to tell a few people towards the end of the day it would take 48 for their refill to be complete. But, for free...I wouldn't really mind a bit!! You will need to take this coupon (Click Here) with you OR it is in your local Walgreens paper that came out today! Let me know how you make out if you go!! I am fully stocked up myself....but if you are in need of them...you are in luck!! This week CVS has their brand of Jumbo pack Diapers 2/$12 in-store. I frequently buy CVS diapers and I just love them!! They are very absorbent, have never had one leak on me (for 2 kiddies now), and they are very reasonably priced when on sale! And now they have stretchier tabs than previously and now have Calliou on them. I have only ever bought the Premium CVS diapers, as I have never tried the Ultra Thins. You get a few more diapers with the Ultra Thins...but I'd rather not take my chances. Nothing worse than a leaking diaper in the middle of the night, right?? It is so very important...especially now with all the recession talk to start saving a bit of money! !I know, I know I sound like your nagging Mother...but hey, at least you know two people are looking out for you....right?? LOL LOL My own mother taught me years ago that every little bit saved is a good thing!! (Thanks Mom!!) You just never know!! Even if it is just $10 a week. You have to start somewhere right?? And most importantly is to make it automatic...meaning have the $10 or so taken directly out of your paycheck....so you will not forget..EVER!! Then when you get a raise, bonus, or cut out a latte here or a lunch out there...add it your savings account. It is very easy to do, I promise ( I did it..LOL)!! And so very addictive to see just how much you can save over a few weeks, months, even a year!! A great place to sign up to start savings is ING. They pay a bit higher interest rates than your traditional bank, have no hidden fees, no service charges, and NO minimum balance in an Orange Savings account. Right now they are paying 3% interest...it had been up to about 4.25% a few months back before all the "R" worries. Not to worry, over time I am sure it will go up again! As an incentive to start saving right away....if you sign up threw a friend referral link, and open an Orange Savings Account or Electric Orange with at least $250, ING will also deposit a $25 bonus in your new account and I will receive a $10 thank you bonus in my Orange Savings Account or Electric Orange account. ING is FDIC insured as with most other banks as well. ING is very convenient and can be done right online (or threw the mail if you prefer). It is very easy to sign up and can be hooked up to an already existing bank account you already have! We have been a member of ING since 2003 and have just love it!! If this sounds like something you would like to look into....email me or leave your email Addy in the comment and I will be more than happy to email you a link. Head Off to Start Saving!!!! Well....I now have it all down to a science!!! Even though if someone saw my system they would probably say "What on Earth is that huge mess??" At least I know where everything is anyway!! I try to stay as organized as possible to make going to the store a bit easier and less stressful with the kiddies! It all starts on Thursday or Friday evening.....I sit down with my Weekly Ads as they start to arrive in my mailbox. (Grocery ads come in on Thursday or Friday) On Saturday morning....I receive my Sunday Paper inserts and coupons as well. I look threw all the coupons inserts and cut out ALL coupons of items I may buy if they were to go one sale before the expiration date on the coupon. Then I match up the coupons to the sale items I wish to purchase....First checking the coupons from that weeks coupons inserts....as most times the sale items and coupon match up for more savings!!! If no coupons for an item in those piles I then head to my coupon organizer to look for a coupon. Most times I can remember if I have a coupon for that item or not....I guess you just remember after a while!! Next I clip the coupons for that specific store to the front of the Weekly Ad with a clothespin or clip. Now I have all the coupons I plan to use and the items I wish to purchase together and ready to go!! My grocery stores, Target and Walmart do not accept Internet printed coupons with the exception of Wegman's which I do not frequent that much. So I have no need to look online for Internet coupons. My local CVS does accept Internet coupons. If your stores do accept Internet printed coupons be sure to look for them too before heading out!! After my lists are made, my coupons attached to the papers...then I place that weeks coupons in my coupon organizer with the others!! About once a month or so I have to go threw all my coupons and clean out the expired's!! I always know it is about time to do this because my coupon organizer gets jam packed!! Just my way of doing it....as there are lots of others I am sure....this just work best for me!! For a Free sample of Seattle's Best coffee click here. You can choose from three flavors!! Do you like to visit the zoo with you family? How about head to a Museum on a rainy Saturday afternoon? I know we as a family love to get out on the weekends and do fun family stuff. Especially since the weather is getting so nice lately!! Sometimes, however the price for our family to go to the Zoo, eat lunch (or should I say bring a packed lunch!) , pay to park, etc. can really add up quickly!! So....how about if the admission tickets were half-price?? Makes you want to go out a bit more...right! I am all about the Free things to do around town, but sometimes on a certain weekend there is nothing Free that strikes our fancy going on. Or my son has put in a request to see the animals at the zoo, or the fish at The Aquarium, etc. There is a great website that if you sign up they will email you each Thursday with a list of 1/2 price tickets being offered for that week. They change weekly...and offer a wide variety of different choices too (shows, the zoo, comedy shows, art, etc.)! You can purchase the tickets online, by phone, or print and take the email and pay when you get there. (Check each offer for available options to pay) It is a cool, affordable way to explore different attractions around Philly. Let me know if you head out with the family for 1/2 price!! If so why not Enter a Chance to win a trip for 2 to Miami courtesy of Old Navy. Winner will receive...2 round trip airfare tickets, 2-night hotel stay AND $1,000 cash,!!!! Unfortunately, there will be just one winner for the trip...but they will also be giving away daily Limited Edition Travel Kits as well!! Just sign up here!!! Remember... you never really have a chance to win unless you sign up!!! *All Stouffer's and Lean Cuisine and Red Box Dinners, Pizzas, Entrees, and Panini's......50% OFF!!! The following are part of their 4-Day Sale and end on Monday March 31st!!!! *Hormel Natural Choice or Black Label Bacon 2/$5 (coupons is Sunday's Paper a few weeks back for .55/1 Hormel Bacon) Coupon double to $1.00...so a lb of bacon for just $1.50!! My son is now at the age where he like to keep busy....from playgroup, to crafts at the mall, to going here and there..he likes to be busy and have FUN!! He loves going to the library for story time...but it is not every week that they have it. Barnes and Nobles offers many sometimes for various age groups on different days of the week. Sometimes even on Saturdays for those parents who work during the week. Usually they read a few age-appropriate stories to the kiddies and chit chat with them afterwards. We usually take a walk around after the stories and take a look at the cool books, kits, and more that they have there. My son has a great time there! It is especially great on a rainy day, or in the heart of the winter!! And best of all it is FREE!! Just be careful....unlike the library...the books you take home from Barnes and Nobles have to be purchased...not loaned and returned!! LOL LOL I always just tell my son before we go in.....this way he knows ahead of time. Anymore....he does not even ask for a book to bring home...as we always have so many at home from the library already!! They also have lots of other events as well for adults and older children too!! To see a Barnes and Nobles Near you Click Here for times, days and activities they have!! The Yummiest, Easiest, Recipe..That Everyone Will Love!!! My hubby's boss had given him this recipe back a few years ago...and you know how it is..I just tucked it in the recipe box and there is sat...and sat...and sat. Then for my Christmas Dinner I decided to try it. As I was cleaning out my recipe box...I came across it and thought..why not give it a try!!! For just a few bucks, I bought all the ingredients and let me tell you......it is just delicious!! Tastes like a cornbread...sort-of. But better!! Just pour everything into one BIG bowl and mix by had well! Stick toothpick in Souffle....if it comes out dry it is DONE!!! I have since brought it to a dinner we were invited to, made it and took it to Easter dinner at my sis-in-laws, and even had it at my daughter's Birthday Party (Per a request). It is a BIG hit!! So give it a try if you get a chance....I promise they will love it!!! Are you expecting? Know someone who is....Carter's is having a Nursery's Sweepstakes valid at $2500. Just fill out the form here to sign up. Says it covers all the essentials!! Good Luck if you enter....you never know, maybe it's your turn to WIN!!! Have you ever been to a Goodwill Store near you?? Did you ever find anything good that you actually bought?? I have not been to one in a while...but used to go back before we had the kiddies. Just seems like we had more shopping time back the, I guess?? Anyway, the Goodwill stores near me (there are 4 within 10 miles of me) the last few times I went in seemed to very pricey. They would have items from Target that Target had salvaged and Goodwill would be asking more than the Clearance sticker said on the box from Target??? It just did not seem right to me!! As the item was a donation to them???? Especially since when you buy it from Target on Clearance...you at least have the option with a receipt of returning the item if you decide it is not what you wanted!! Not to mention the store associates...they are always so darn rude!! I am the type of person that walks up to the register and says "Hello, how are you today?" Regardless of if the associate says Hello or not. At Goodwill....it just seems like you are bothering them when you want to pay for the items you are purchasing!! Plus, the stores near me are pretty dirty...(with the exception of 1). Well...maybe Goodwill is changing a bit...as they now have a Goodwill auction website . They seem to take the higher priced...."Worth a bit more items" and put them online to get more money for them. Maybe it is worth checking out?? They explain how to bid, paying tax on an item, combined shipping info and more here. I would love to hear if you have already tried this before!! Any luck? I'm curious to see how it goes!! Well I have a few freebies to share!! I actually got a few in my mailbox this week!! It's so COOL to get freebies in the mail, isn't it?? Besides the usual old bills??? *Not that you need this or anything.,..as your skin is very pretty...but in case you have a friend that may need it...this is for her...LOL LOL Maybeline Mineral Powder Foundation- use mineral product for a natural luminous look!! *Complimentary Sample of Starbuck's Coffee- choose from House Blend, Breakfast Blend, Caffe Verona, or Sumatra. YUM!!! Can never have enough coffee around, right?? *Vaseline Intensive Rescue Lotion- Dry skin can fight back and Win!!! Great for the winter I am sure. *Fiber One Carmel Delight Cereal- Rethink Fiber with Fiber One cereal. Hey...maybe it's actually good??? Ah yes...my absolute favorite time of year...really!!! I love springtime when for some reason I feel the absolute need to clear out closets, go threw the attic, clean out the shed, go threw the garage....etc. I constantly find myself getting rid of this, or that...things we no longer have a need for or have not used in a long while. So what to do with all the stuff we no longer have a place in our home for?? What better than to Freecyle it? I love Freecyle!! I have been freecycling now for about 4 years now. It is a great site!! If you have something you no longer want/or need....you simply post it to the site and if someone would like it they will email you back for a pick-up time. I have seriously really cleaned out my house over the years threw Freecycle!! I have also gotten a few great items from it as well!! A few years back someone posted Free Weights and hubby and I headed over and picked them up....he used them to workout with until just this past December...when I bought him a new set of weights and bar for Christmas. Not to worry....we Freecycled them to someone else who was so excited to receive them!!! I have also recieved diapers, baby food, kids toys, and more!! That is another great part of Freecyle..it really is a community!! I have met a lot of great people threw Freecyle. Even people who live just a few blocks away from us!!! As the name says it is totally FREE!!! Free to join...Free to post offers...and Free to receive!! There are so many Freecyle groups now...there is almost certainly one in your neighborhood! It is amazing to find out that the vase you got for Christmas from your Auntie a few years back is now "so loved" by it's new owner who adores it!!! It's a great feeling to makes someones day...like they say "Another Mans trash is someone else's Treasure"!! -Make sure you know what sizes you are shopping for....usually at the sales items are piled/sorted by sizes. Just remember that not all brands run the same way size wise!! Also take into consideration shrinkage...these items are previously worn therefore have also been washed and dried as well. Be sure to know your brands or bring a clothing item from home to measure up too. This way you know it will fit!! -Bring Cash! Nothing like finding a great deal and you do not have enough cash to cover it!! - Have a good plan with you on what your child needs clothing wise!! This will save time at the sale when you only have to look for what you actually need. This will also potentially save you money as well....even if it is a great deal on an item...but your little one already has three of them, you will know to by-pass the item!! Remember, it's only a good deal if you really need it!! -If you are looking to buy used car seats, cribs, etc. be sure to check the recalls list and even print it out before you go. -And most of all have FUN!!! If you are well prepared before you even get there you are sure to have a great time!! I found this Home Trends - Brookline Dot Duvet Set for just $10.00-$15.00 for the set depending on what size you may need. Maybe you are a polka-dot lover??? I am a regular user of Snapfish and have used Shutterfly a few times too. I have been very pleased with both of them. Snapfish's shipping does sometimes take a bit long, other times faster than fast. Just depends on them I guess?? You can order Snapfish prints online and pick them up at your Walgreen store if you'd like too. This does avoid shipping costs...but the per print price is slightly higher! I do it this way for my mother-in-law sometimes if she wants photos of the kiddies in a flash. I ordered my daughter's Thank You photo notes from her birthday from Shutterfly and they turned out awesome!! They had lots, and lots of backgrounds to choose from, and many letter fonts and styles as well. Shipping threw them was very FAST!! My cousin had also told me great things about Wink flash and Clark Color Labs as well. I have yet to use either of them as of yet...but I think I will use one of them today to print the Easter photos. Why not right?? I prefer to print photos online as apposed to in-store because the kiddies are not to into standing by the kiosk in the store while I pick out photos. For me in-home is just alot easier and cheaper too!! *$5 off a $25 purchase at Shutterfly, use code AF41-4808 at checkout. Offer valid until 4-8-2008. *Free Shipping on any order over $25 and 25 Free prints for NEW customers only threw this link. Offer ends 4-8-2008 also. * 20 Free prints when you sign up for an account. *20 Free Prints when you sign up for an account. Click here As always they have 9 cent prints. Wishing You and Your family a Very Happy Easter!! More deals to come tomorrow!! What's In Your Kiddies Easter Basket From the Bunny?? I read this great article today in the paper. So when did the Easter Bunny start putting so many gifts in the Easter Basket??? Click Here to Read I remember as a kid growing up...my Easter Basket would have a large chocolate bunny, some Peeps Marshmallows, lots of kisses, Hershey's miniatures, jellybeans, and some Reese's cups all in a pretty basket with a big bow on top!! And man...Was that not the best breakfast day of the year as a kid??? Who doesn't like a BIG chocolate bunny for breakfast??? I would say the bunny spent maybe $30 on both kiddies total. The bunny is a frequent shopper at Ross for DVDs, and one is from the Pampers Go to Grow Program (just had to pay shipping). The cars were bought on clearance at Target a while back, as was my daughter's Fisher Price toy (75% of to be exact!...sorry, a BIT excited!!!). As far as the few pieces of candy....I had a B1G1 Free Russel Stover Bunny coupon, and a B2G1 Free Russel Stover Egg coupon. My sister and I went halves on these (one for my son, one for her daughter). As we also went halves on the 2 bags of candy. We bought them at CVS last week (on sale for 2/$3) and had manufacturers coupons for both bags. In my case I think the kiddies are way too young for all that candy!! Yes, some candy is fine...I am not that mean, come on!! Plus, the kiddies will be finding Eggs left by the Bunny at 2 of their Titi's (Aunt's) houses tomorrow too!!! I think that little presents are a great idea for the Easter Baskets!! As far as my daughter goes, candy is out of the question!! Not, like she really has any idea of what Easter is all about...BUT I know my son would ask..."Where is sisters Easter Basket???" So, hubby and I decided to get her a toy to play along. I just choose a budget for the Easter Baskets and stuck too it!! Trust me know one would ever know I only spent what I did for what I got! I just had been on the look-out for items and when I saw a deal I took advantage of it!! What was in the basket/s the Bunny dropped of at your house???? *Pampers Jumbo Pack Diapers $7.99 (be sure to use your manufacturer coupons as well!!) Also check on the back of Cheerios boxes for $1.50 off coupons too!! * Red or Green Seedless Grapes $.99 a lb. Are you a procrastinator...not that I am insinuating anything at all..lol lol Have you yet to get your Easter outfit?? If so......waiting until the last minute may be in your favor. Old Navy is having a 3 Day Sale...now threw March 21st. Don't forget to check out the clearance as well!! And if you spend $100 or more enter code PATTERN at checkout for FREE shipping. Otherwise shipping is a flat $5 for your order. Last night we decided to dye Easter eggs. Wow...we had some real fun...wish you could of seen it!! Actually, I think people may of even paid to see the time we had...seriously! First off, my son was ready to start first thing yesterday morning....so every about 20 minutes he would ask "Is it Time to Dye Eggs Yet"?? He was so psyched about it, he did not even take a nap today, he just couldn't fall asleep!! Finally, 5pm came and my sister and the kiddies came over and my mom and the fun began. The eggs were flying out of the cartons so fast, painted with glow-in-the-dark paint, then dipped in color all in about 3 minutes flat per egg. The kiddies are WAY fast at it!! As soon as they see a bit of color on an egg...it's done they say...lol lol Let me just tell you than 4.5 dozen eggs were all prettied up in about 35 minutes or so! Then the real fun began.....they decided they wanted to put stickers on all the colored, painted, semi-dried eggs. SO......they attempted to sticker up all the eggs....but found the stickers do not stick all that well....so they busted out the sticky tape!! (As Dora Calls it, Thanks Dora...for teaching the kiddies all about how scotch tape can fix anything!) lol lol Well, they had so many eggs out of the cartons, and holders that they started rolling of of the table...and guess what???? I am a tad embarrassed to even admit this.....but it is true.......they eggs cracked and yolk came, out??? WHAT??? I had them boiling for a bit this morning?? How could this of happened?? Well folks...good thing I am not giving my 2 cents on cooking....I promise I am a much better deal finder!!!! Anyway....everyone had good laughs and fun....at least I can make people laugh, right?? Or at least that is how I am justifying my cooking skills...or lack there of!!!! Hey...if you'd like to get some fun family time in....pick-up a few dozen eggs, couple dye kits and for about $10 you have a cheap fun night ahead of you!! Have Fun!! Hey, would you like $5 off your next Kohl's in-store purchase?? Maybe 10% off your Kohl's online purchase?? If so, just sign-up for their Sale Alerts here and they will send you an e-mail that'll save you $5 off your next in-store purchase and 10% off your next Kohls.com purchase! Then you will get to know first hand when they are about to have big sales, free shipping offers, promo codes valid for online orders and clearance updates! That's right....the USPS and HBO are teaming up together and offering you a free John Adams card with postage for you to send a letter to a friend. Just click here to choose your card style and pick from 3 phrases...you can even add a picture or two if you'd like to personalize it!! Hurry though....offer ends on March 31st. Nowadays with email...think about the last time you actually say down and wrote a letter to you dear friend?? Now is your chance!! Yes, yesterday my sister and I attempted to take the gang to get pictures at JC Penny Portrait Studios. (NO, were are not crazy!!) The photographer got to take 4 pictures of all four of the little ones...well, where they were all facing front and sorta smiling..lol My nephew was the one cheesing in all of the first 4 pictures......then the photographer decided to switch the pose and that was it...he was all done with the pictures!! It was time to have a cracker and his sippy cup!!! Then my daughter very quickly followed his lead and felt the same way!! Two peas in a pod, I suppose. The photographer then took a nice picture of the older kiddies and it turned out very nice!! So, we did better than expected with picture day yesterday! We walked out with pictures of the whole gang, and a nice picture of the 2 oldest kiddies too, as a bonus! They always have coupons out too...they are a real big money saver. Either you can get $3.99 sheets or a $7.99 Portrait Package Deal. The Portrait Package is -2- 8x10's, -2- 5x7's, -4- 3.5x5's and some wallets and billfolds too. If you opt for the Portrait Package all your pictures in the package are of the same pose that you choose out of the pictures taken. If I am really in love with an additional picture they take in a different pose I buy one sheet for $9.99. NO sorry, they do not allow you to use both the $3.99 and $7.99 Portrait deal coupons together....(wouldn't it be nice, though!) But, hey they have to make a little money somewhere, right? Also, when you go back in 2 weeks to pick up your portraits...they also print 3 additional prints in different poses, formats and sizes (i.e. calender, black and white, cropping, etc.) that you have the option to purchase for $6 a sheet or all 3 for $15. Most of the time I usually end up buying all 3 additional sheets they offer too!! *Bring snacks/sippy cup/toy to occupy your little one while you pick out your photos. *DO not feel pressured into buying tons, and tons of pictures!! Just remember there are way more pictures to be taken of your little one!! WOW!! That seems like a great deal, right? Well, Wawa is trying to get you as a customer to think of Wawa for dinner choices. They figure you buy there for breakfast and lunch...so why not dinner?? They say the "Dinner Plans" promo will last at least until mid-June..so you have plenty of time to try it out!! I know that hubby and I went to Wawa jut this past weekend and got 2 shorti hoagies for about $9.00...SO this is a great deal!!!!! And you can leave your coupons at home, as there is no coupon needed...just walk in and order and you automatically get the sale price!!! Yeah!! **BTW- My mom filled me in on this little deal at Wawa, as she tried it out last night. She just advises you to check your items as you leave the store...as she ordered a salad w/chicken and she got home and found her salad w/chicken was missing all the Chicken...not kidding!! But otherwise was very happy with her meal! Thanks Mom, for the heads up!!! Reminder: FREE Rita's is Tommorrow...Dunkin Donuts On Friday!!! Just a reminder.....FREE Rita's water ice (10 oz.) is tommorrow starting at 10am. ***I just wanted to apologize...as I just found out that Dunkin Donuts decided not to particiapte in the FREE iced cofee day today 3/21 this year. I was just informed by Vanessa. Well, I decided this year to be a bit smarter than last. I decided to purchase my Easter flowers today as apposed to before the "Easter Flower Craziness" begins...lol lol. I have tried many places in the past few years to buy Easter Flowers...and keep going back to one place! Produce Junction!! Produce Junction, as the name states has lots and lots of fruit, veggies, eggs, flowers, and seasonal items as well. Everything is pre-bagged and very reasonably priced!! (Fuji Apples 3/$1.00, Iceberg Lettuce 2 heads/$1.00..bag of baby carrots $1.00...etc.) We head there once a week to load up on our produce for the week for under $12.00. They also have annuals and perennials in the spring...they are always so beautiful, so many varieties, and always at a great price!! I headed there today for my Easter Flowers and eggs to dye with the kiddies fr tomorrow. I bought 6 very pretty Easter Flowers (Tulips, Gerbera Daisies, Begonias) and and two dozen eggs for under $22!! I was very happy with that!! Last year, my sis-in-law said that she and hubby stopped last year on the way to our house and picked up Easter Flowers on the way at some random place and paid $12.99 for one plant....WOW!!!! And guess what they were the same size as the ones I had purchased at produce and wrapped up just as nice as well!! As with most perishable things, shop early for the best selection....this definitely applies to Produce Junction!! I have never gotten anything bad there...but things do sometimes get very picked over, as there are a very, VERY busy place!!! ***Just a little note***: I was at Shop Rite today to pick up my FREE ham.....(well, almost free spiral ham, anyway!) and they had a bunch of Easter flowers out front of the store 3/$10. If you do not have a Produce Junction nearby...try Shop Rite. The flowers looked very nice!! As a family we like to eat out about once a week (A night off of cooking.....yeah!!) Sometimes just a sandwich at the deli, sometimes at a restaurant, sometimes even just take-out. This can get very expensive.....So, we vow to try and eat out only with a coupon in hand! Plus, it is WAY more fun to see just how much you can save...lol lol There are a few rare occasions when we go out with friends and then we splurge without a coupon, but once in the blue we feel is okay!! To help us stay in our out-to-eat budget we sometimes use an Entertainment book coupon when we head out. I bought my first Entertainment book way back about 7 years ago. And I have been a loyal patron ever since. The usual cost is between $25-$40 when the new book comes out (usually September)...NOW it is 50% off the regular retail price. The coupons in the book are for B1G1 Free and $$$ off coupons, good on meals attractions, car rentals, amusements, snacks, grocery, car washes, services, and much, much more!!! The coupons are valid until late November...some even until late December. We have eaten at quite a few restaurants and probably never would of tried with the Entertainment book coupon. Plus, this way you never have to say"Where Do We Eat Tonight". You will now have a whole book to look threw to decide!!! You can preview the Entertainment book for your area...just click here. Maybe you already have an Entertainment book...How do you like it???? I am taking a week off from Shop Rite this week....so have fun if you go!!! They also have $3 and $5 specials those 2 days as well!! And if you would like to purchase something not on sale....You can make it on sale by using the coupon 50% off Any Regular priced item valid on Friday and Saturday ONLY!!! To see the flier and print a coupon click here. Now, all I have to do is find the vases on sale....how long will that take???? About a month ago I was at Target shopping and they had a few cleaning items on Clearance, one of the items being a Glass Plus refill kit. I have never tried using them before, but I thought for $.08....hey I must give it a try! It was on clearance for $1.08 and I had a $1.00 off manufacturer coupon too!! So I bought it...and then waited for my Windex bottles to run out....To make cleaning a bit easier I make sure to have a Windex bottle on each floor, as to always have easy access to it. I finally made up a bottle of Glass Plus using the refill kit yesterday. 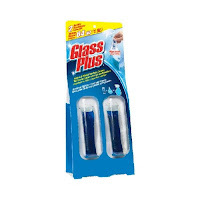 The directions are very simple...just empty out your old Glass Plus bottle, rinse, then let bottle air dry over night. Next day, put in Glass Plus refill and fill up with warm water...and watch it dissolve. It was very easy to do, and they best part there is NO mess to clean-up as the whole packet dissolves right in the bottle!! I then started to Windex like crazy....lol ( just kidding) I did test it out on a few windows, my table, etc. and it works very well, just like to pre-made Glass Plus!! As a mom with little ones....I am always windexing something!! I think the glass just calls out to the kiddies..."Touch Me", Touch Me"!! I thought these refills were way cool! They take up very little space in the cabinet (if space is a problem for you), are very, very reasonable, and are way less waste too! If I ever came across them on sale again, or on Clearance I would definitely buy again. Just thought you may like to know!! As spring is almost here...Rita's Water Ice would like to help you welcome spring!!! On Thursday March 20th receive a FREE Rita's water ice!! Well, I headed over to Acme this morning...and man did I get some deals!!! This week until Thursday, they are having a few great deals!! I spent a total of only $4.00 for everything!!!! Savings of $27.50 in coupon savings!! I got most of the coupons from this Sundays Papers ( I get both the Inquier and CP delivered on the weekends for the extra coupons! ), a few coupons in the past few weeks papers, and the one Chex coupon from All You Magazine. $1.00 off Cheerios coupon from GM. As you know, to get the best deal....stay as close to $19.99 as you can (on the toy you plan to buy)...this way each toy will be around $10.00 plus tax!! Maybe this will help out with Easter or an upcoming birthday present?? A pair of Carter's Pajamas, a Tony Hawk hooded sweatshirt, 2 Sonoma Polo style shirts with a Tee underneath, and a Sonoma hooded sweatshirt. They were all for my son found is the boys section size 4-7. The original prices on all 5 items equaled a total of $100.00. They were all on clearance for a total of $27.60 minus my 30% off coupon....I paid ONLY $19.32!! I am pretty excited!! 4 shirts and a pair of pajamas at about 80% off!! Remember if you go, shop clearance!! That is where the best bargains are!! I really only like to buy items with 70 or 80% off clearance stickers!! You see now is the beast time to but for next winter as spring is just around the corner!! Remember make it fun...see how many great buys you can find!! Oh...and if you'd like brag...I would love to hear all about it!!!! ***They also had TONS of nice Valentines items at 80% off, and lots of women's intimates at 80% off as well. St. Patrick's stuff was at 70% off today....will go 80% probably by Monday or Tuesday!! Have you gotten your kiddies Easter bunny pictures done yet this year?? Or are you trying to avoid the long lines and hefty price tag for one photo?? Well you just might be in luck!! Today March 15 and Sunday the 16th Walmart is featuring FREE pictures with the Easter Bunny. Next weekend as well...From 10am to 2pm. Hopefully you get a chance to go...I am sure the kiddies will enjoy it!! I have to admit...I have not been to the Philadelphia Museum of Art since about grade school, but now this that may soon change.....lol On Sunday's the Philadelphia Museum of Art has "Pay as you wish" admission prices all day. They are open on Sunday's from 10am-5pm. It would be a nice day out if you have a bit older kids, and educational as well...lol lol Or maybe you and hubby can get a sitter and tour it all by yourself...(now, that's an idea??) 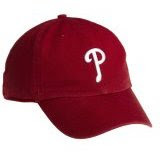 The Museum is located right on the Benjamin Franklin Parkway in Philadelphia. You can find direction here. Hope you get to go!! Glad Force Flex Trash bag Sample- With awesome Stretchable Strength!! Aveeno Positively Ageless Lifting & Firming Lotion- a $1.50 off coupon and free sample! Always Thin Sample- with improved adhesion. Parent's Choice Baby formula sample-this is Walmart's brand of formula. It is for NY & Company, 30% off your purchase valid until April 7th. And if you shop before April 1st you can also receive $10 Metro Money (a little added bonus). Just enter code 6428 at checkout for the discount. Of course there are a few exclusions....not valid on red lines (darn, all I shop, usually), city deals, clearance ending in .99, gift cards, gift boxes and wrapping, or shipping fees. Hey, maybe you need a new Easter outfit?? Or just a new outfit period...lol Why does there aways have to be a reason?? Well, for a few hours anyway...lol My niece and son went to the Mommy and Me playgroup today at the mall. They had an Easter theme today. The two of them got their faces painted like bunnies, fished for eggs, and made bunny ears!! My sister took them and they were so happy to tell me all about it when they got back. I just had to share this photo of the two of them. They make the cutest looking bunnies, right? Well, for about 2 hours anyway....then it was itchy they both said so off with the bunny disguises!! I just found out about this today....AC Moore on Saturday's has Make N Take Crafts from 1-3pm. This Saturday March 15th the theme is Fuzzy Posters. I am sure it would be a lot of fun for the kiddies....and very easy too. Then when you are all done you can take it home with you and display!! And best off all it is FREE. Just wanted to pass along!! Threw today Old Navy has their 2 for 1 sale going on. If you are in need of some summer shorts, tanks, flip flops, tees, and more now is a good time to shop. I love Old Navy, as their clothes wash well, look great, and they almost always have the colors and sizes I need. Plus, when you shop at brick n mortar, everything is always so organized!! If you shop online shipping as always is just $5 for your whole order!! P.S.- Don't forget Kohl's sale starts today as well and last threw Tuesday!! I love being thrifty...it's so much fun!! It's like a rush for me sorta....cannot wait to see how much I can save on this deal or that!! Plus keeps you on your toes to always be on the look out!! Besides using coupons....there are several other ways...I try to save as well. *Go to the Car Wash only on 1/2 Off Days....Love to have a clean car, also love to pay half price for the car wash!! Hey, my car looks just as clean as the guy who paid full price yesterday, right? Most car washes have special days...Men's Day, Ladies Day, Senior Day and some even take competitors coupons too!! *Use washcloths to Windex with....I am a Windex a-holic...The kiddies love to touch like.. Everything!!! I was going threw paper towels like crazy...SO I purchased a few packs of 12-washcloths and just use them, wash in washer, than re-use them!! They work great!!! I have purchased these at Kohl's and Target for about $2.99 a 12-pack (on sale, of couse!). I buy the washcloths in the towels dept. as they are cheaper and work better than dish clothes! I also buy white ones so I can bleach them now and again. Of course, I still do buy paper towels...but at a much slower rate!! * Use washcloths to wipe kiddies hands and faces off after eating...of course, different ones than I use for the windex-ing! Same idea though...saves on buying so many baby wipes!! * Hang dry my laundry- I really started this for the shrinking factor in the beginning. As hubby is over 6 foot and has extremely long arms...so if I dried his clothing they became too short on him. Now I hang dry everyone's clothes...except for a under garments, bath towels, and socks. I just pop the whole load in the dryer for about 10 minutes then stop it, hang up everything except the few items I do dry in the dryer and then let them air dry. This does save some gas, and really does save the clothes as well. Our clothing is NEVER faded, has no pills, and lasts a lot longer!! *Buy the big jug of hand soap and refill your soap dispenser instead buying of the individual throw-away dispensers...I never realized just how much you save!!! *Check out your local library.....Our local library always has crafts for kids, movie night, movie rentals for $1.00 (for 5 days), sometimes workshops for adults and kids, pajamas night, and more!! And most of the times it is free or very, very low cost!! *Watch your cell phone bill charges.... if you do not text message drop it from you plan! Not using all your minutes? Lower your minutes plan if you can. *Save on gas.....with the price of gas these days ($3.00 a gallon) try to run a few errands in one area...this way as to not drive all over the place. *Eat at Home... I am the first one to tell you just love eating out...BUT it does cost a bit more....so if you like eating out, if you must.... be sure to use a coupon., or go on the night they have a special (usually weeknights, kids night, dinner specials, B1G1 1/2 price, etc.). Or maybe just reduce the amount of days you eat out. *Pack your lunch...Or at least 4 days a week....splurge on Friday, eat out...you sure deserve it!! Think about it....$6 day times 5 days = $30. You could just eat out one day and save $24 a week and put it in the bank for a rainy day!! That would equal almost $100 a month! Awesome!!! Hopefully these will give you some ideas. How are you thrifty??? I have been seeing the prices drop on them starting right after Christmas. I have yet to purchase one for our home....but do think they are kind of cool! I just wanted to wait until my daughter is out of the "throwing things stage", if you know what I mean....I would hate to see it thrown on the floor and in a million pieces!! So, why tempt her, right? I'll hold out a bit longer. We purchased my mother-in-law one for Christmas...and she loves it!! She just loves pictures period, really. But the grand kids get a kick out of seeing pictures of themselves flash for a few second on the frame then onto the next one. If you are in the market for one...right now Amazon has this Coby 7-Inch Digital Photo Frame for just $49.99 and it ships FREE using Super saver Shipping!! Think Mother's Day!!! Just in time for spring and summer clothes!! They are having a sale starting tomorrow (Thursday) until next Tuesday March 18 th...and if you use coupons code GRAND30...you can save an additional 30% off all your purchases!! I am so excited I actually got the 30% off code this time...last sale I only got 15% off...we are heading to Kohl's on Thursday night to see what deals we can find!! And if you order online..use FREE shipping code MVC8724...the free shipping code is good only threw the 16th!! So shop early!! Of course, I will let you know how I do after I go!! Well, tomorrow my Dad is taking my son and my niece to Chuck E. Cheese's for a Fun day!! They are so excited!! They have not been there in over a year....so they cannot wait to go!! And of course, ask Pop-Pop and you shall recieve...I am sure you know how that is...Pop Pop's are great!! The last time we went was for my sons 3rd birthday....it was a good time for him and my niece and my sons little friend he brought along...but not like when I was a kid. I remember as a kid they had lots and lots of games, a few rides, skeeball, great food, tunnels to climb thru, and awesome prizes!! Well, let me just tell you...either it was because I was a kid, or they have really gone downhill!! The prizes are a joke.....you need TONS of tickets to get anything decent!! Now a days you have to go therea few times and save your tickets up to get a semi-decent prize!! Stinks for the kids...who look forward to getting a prize! The pizza is just horrible. Salad bar is okay...nothing to write home about. And the games seem to be repetitive.... so, so many video games. When we went last year, my son was just a tad young for video games. This year he is a bit more into them, so I think he may have a better time!! It just seems like Chuck E. Cheese's caters to a little bit older children, as apposed to years ago.....But, the kiddies still love to go...and have fun..so that is all that really matters, right! Are you going soon...here are a few coupons to save a little! !